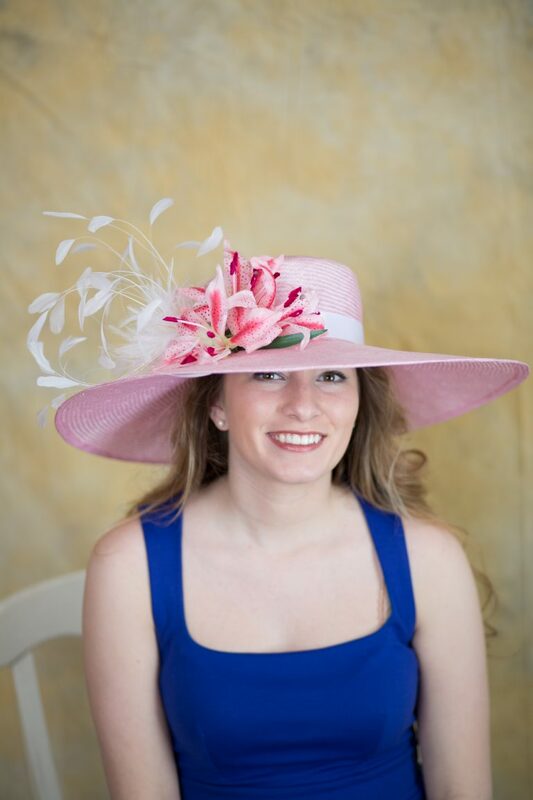 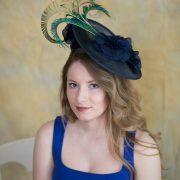 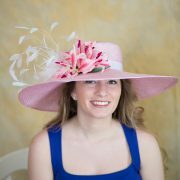 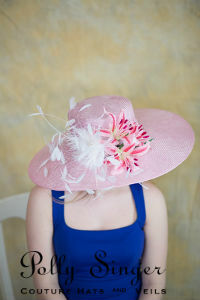 Lilly is a hand blocked light pink parisisal hat with a 7 inch brim. 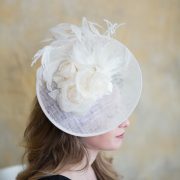 Silk Stargazer lilies and a lavish white feather mount complete Lilly. 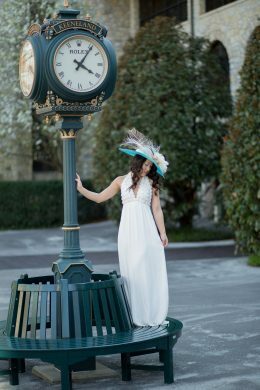 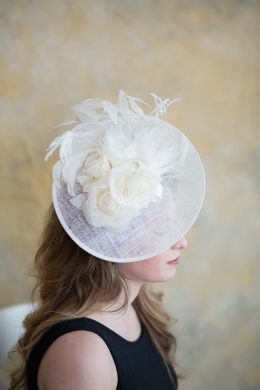 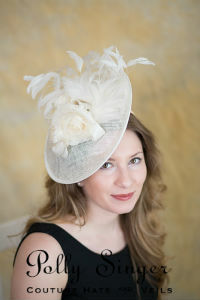 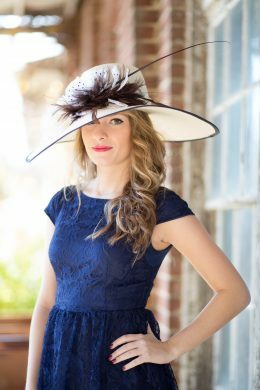 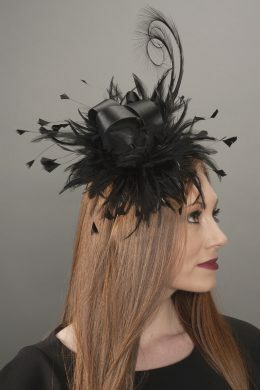 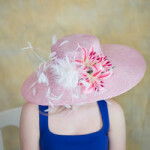 Perfect for the Oaks, Derby or Easter, Lilly will garner gazes from admirers.